Firepig tacos at Taco Asylum. Photo by Nick Schou. I’ve been eating Taco Asylum’s Firepig tacos for years, since before they were even called by that name. When the Costa Mesa eatery opened at the Camp, its ghost chile tacos were somewhat larger and a tad spicier than today’s version and were served with crispy pork cracklins and chile threads as fine as hairs. 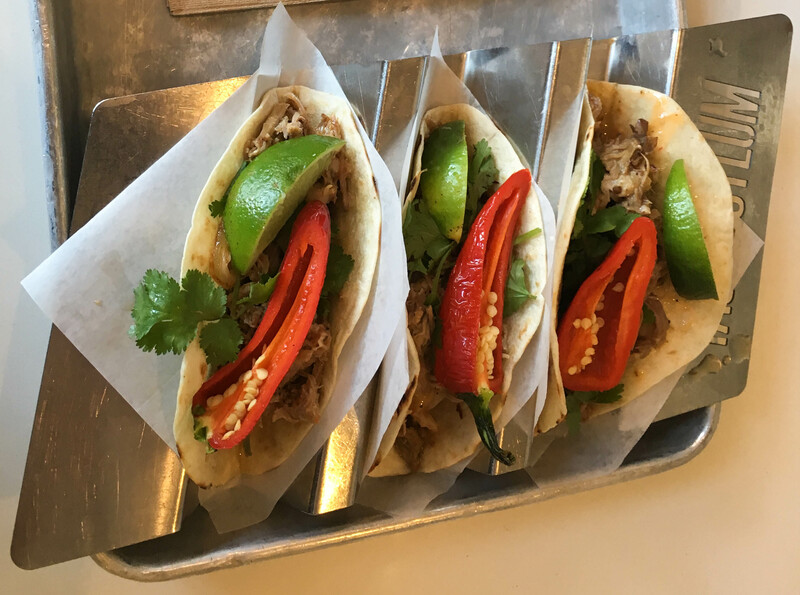 When the restaurant overhauled its tacos a few years back, making them somewhat smaller (and cheaper), Taco Asylum changed the recipe to what you’ll find today: the same decadently juicy, braised carnitas, but with a roasted half-slice of fried pepper, onions and a cilantro garnish. Be careful with the pepper—you might want to scrape out some of the seeds—or, if you can stand the heat, sprinkle some house-made ghost chile sauce on the taco to suit your taste. Since three tacos are my limit, I’m often tempted to mix in a Jamaican Jerk Chicken or Bacon PB&J taco, but more often than not, I stick with a trio of Firepigs, washing them down with a glass or two of whatever IPA happens to be on draft. Of course, the beer only partially cools the heat, but the best part is the sweat on your forehead and lingering fire in your mouth and sinuses. Taco Asylum recently changed ownership, and while the new owners are apparently longtime fans of the joint and insist they have no plans to change recipes, you might want to drop by sooner rather than later—just in case. Taco Asylum, 2937 S Bristol St. Ste B102 Costa Mesa, CA, 92626, (714) 922-6010; www.tacoasylum.com. 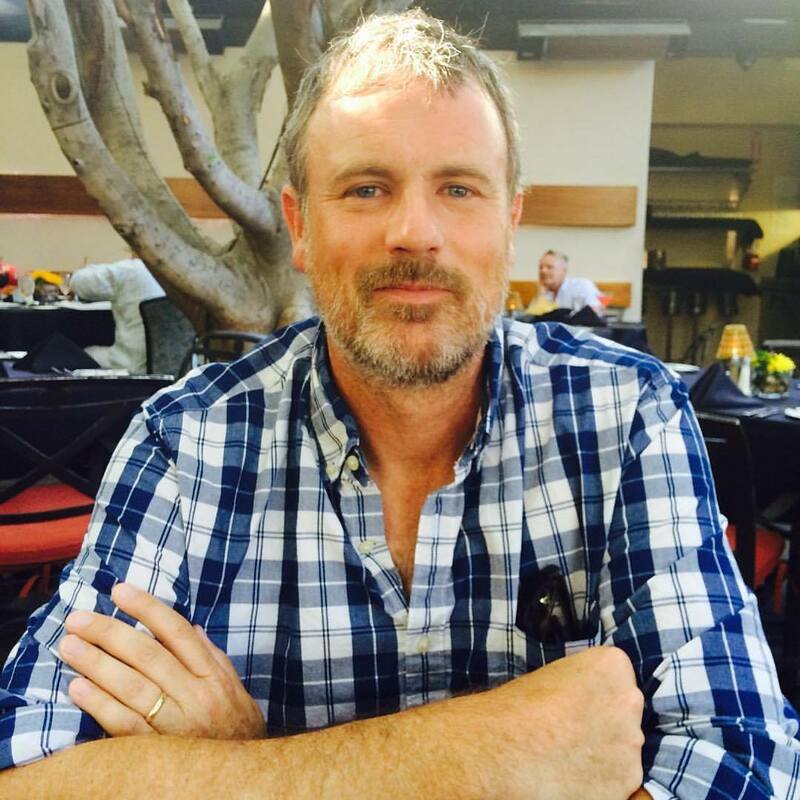 Award-winning investigative journalist Nick Schou is Editor of OC Weekly. He is the author of Kill the Messenger: How the CIA’s Crack Cocaine Controversy Destroyed Journalist Gary Webb (Nation Books 2006), which provided the basis for the 2014 Focus Features release starring Jeremy Renner and the L.A. Times-bestseller Orange Sunshine: The Brotherhood of Eternal Love’s Quest to bring Peace, Love and Acid to the World, (Thomas Dunne 2009). He is also the author of The Weed Runners (2013) and Spooked: How the CIA Manipulates the Media and Hoodwinks Hollywood (2016).